When I was a little boy, there was no entertainment except sports or listening to radio. With no TV, internet or a mobile phone by my side, the life was still very romantic and exciting, since we had hobbies. Yes, in those days, everyone had a hobby. Whenever we went visiting, the elders in order to start a conversation with the young ones, would often asked as to what their hobby was. Those days, children loved reading, so do most even today (though number has declined manifold), and collected coins, match boxes, first day covers, autographs and of course the most revered hobby – the stamp collecting. So like many others I also ventured to start collecting stamps. My major source of stamps came from my father. 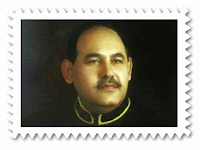 He was then the head of Interpol in Pakistan and had his mail coming from all over the world. And every envelope had a stamp for me. So that was the start. And soon my small homemade album was bustling with beautiful stamps from all over the globe. To my surprise, one day one of elder brothers, who himself was an avid stamp lover, gifted his collection to me. That was a big treasure, containing very old and rare stamps. Today some of those are almost 50-80 years old. So my album started to swell. I then started utilizing my meager pocket money to buy stamps. I still remember one vendor by the name of Ruby Stamps located in Urdu bazaar Lahore, en route to my school. So I would always stop y and buy a few stamps and then it used to be an impatient journey back home to put the stamps into my album and admire my collection. As my collection grew, I made separate albums for each continent of the world. I also added the map and country details before each country. So that is how I got into the world of philately. 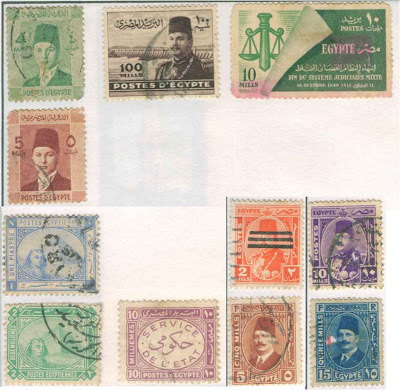 And this blog of mine is all about my collection and the stamps I do not have but are rare.